A range of fabricated mild steel luminaires with optional toughened glass panel for mounting heights between 5m and 10m. The reflector is made from stippled aluminium and is designed to maximise light output where it is needed. 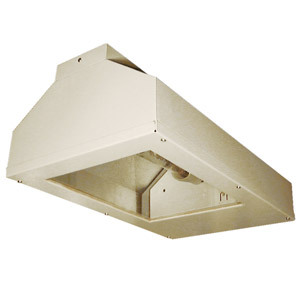 They are designed for use in factory workshops, warehouses and other industrial applications where running costs and illuminance levels are important. There are various lamp options to enable a suitable balance between efficacy and effect to be achieved. SON and MH versions have thermally protected ballasts to conform with amendments to EN60 598-1 : 2000. A range of fabricated mild steel luminaires with toughened glass panel for mounting heights between 5m and 10m. The reflector is made from stippled aluminium and is designed to maximise light output where it is needed. They are designed for use in factory workshops, warehouses and other industrial applications where water and dust ingress protection, as well as running costs, are important. There are various lamp options to enable a suitable balance between efficacy and effect to be achieved. SON and MH versions have thermally protected ballasts to conform with amendments to EN60 598-1 : 2000. The full datasheet can be found here. 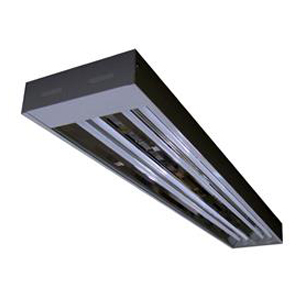 A range of high quality industrial luminaires for mounting heights in excess of 5m. The gearbox body is manufactured from thermal resistant nylon and the reflector is made from spun aluminium. Although the luminaires are designed for use in industrial situations they are of pleasing aesthetic appearance, enabling them to be located in other areas. There are various options of light source available to enable a suitable balance between efficacy and effect to be achieved. 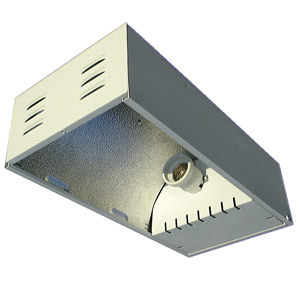 A unique range of fluorescent luminaires for mounting in school gymnasia and commercial sports halls. 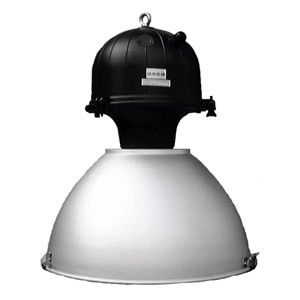 The luminaire uses high efficiency lamps with high frequency electronic control gear. The body is made from white textured powder coated mild steel, and has polished aluminium reflectors to ensure maximum light output. The front cover is made from clear polycarbonate to resist impact from balls and other games objects. There are various sizes available to enable applications to be illuminated without dark patches between adjacent luminaires.